VRWRK are London based producers duo (Matt Sey & Jergan Callebaut) paired with London born vocalist Salem Khazali - the trio draws their creative energy from emotional suggestion and tactile sensation. VRWRK drenches the club experience in a comfortable haze, creating a dissonance between dance music and intimacy. It’s the kind of out-of-body experience you feel quite comfortable in. Always on the edge of the underground and the overground. 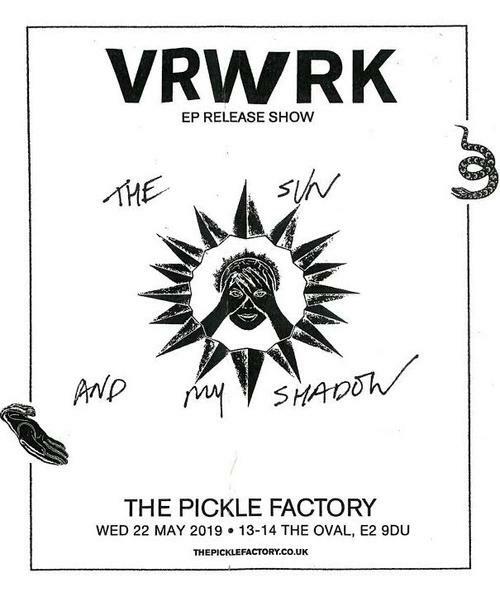 Join them for a night at The Pickle Factory on the 22nd May.